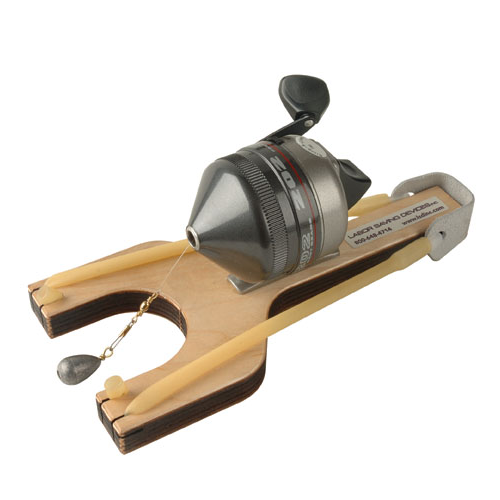 The Original Sling-A-Line Span Caster was originally introduced in 1982. It has a birch wood yoke with a 10lb. test fish line to accommodate most wire pulls. 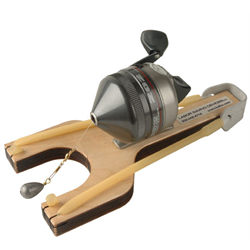 Easy to operate, simply depress the caster reel, pull back the tubing strap with the lead weight and shoot. You can vary the range from 10ft. to over 100ft.